MI Rustle Court, A seamless amalgamation of luxury, comfort and style blend to provide a truly sophisticated lifestyle. These Residential Apartments in Lucknow are beautifully planned keeping in mind the architecture which can soothe your senses whenever you step into your house after a tiring day from work. MI Rustle Court by M.I. GROUP in Amar Shaheed Path strives for customer satisfaction and believes in building world-class projects without compromising on quality standards, innovation and timely delivery. With well-ventilated apartments and uncluttered nature space, MI Rustle Court makes you feel that every day is an excursion. MI Rustle Court is one of the best investments in Residential properties in Amar Shaheed Path, Lucknow. The Apartments in MI Rustle Court are strategically constructed keeping in mind excellent connectivity of public transport. 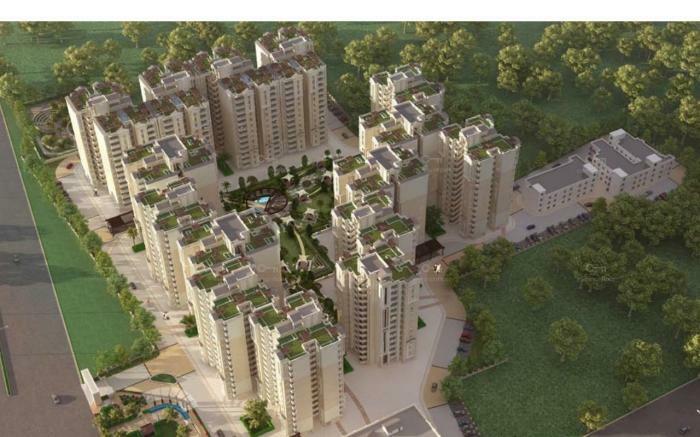 MI Rustle Court presents 2 BHK, 2.5 BHK and 3 BHK Apartments in Lucknow. The price of Apartments at Amar Shaheed Path in MI Rustle Court is well suited for the ones looking to invest in property at Lucknow. Amenities: MI Rustle Court has been designed such that it includes all the world-class amenities such as Landscaped Garden, CCTV Cameras, Swimming Pool, Gymnasium, Play Area, Rain Water Harvesting, Lift, Club House, Library, Tennis Court, Wifi, Car Parking, Gated community, 24Hr Backup Electricity, Drainage and Sewage Treatment, Squash Court, Amphitheater and Open Lawns, Vaastu / Feng Shui, Multi-purpose Hall, Security, Spa and Billiards. Location Advantage: MI Rustle Court is conveniently located at Amar Shaheed Path to provide unmatched connectivity from all the important landmarks and places of everyday utility such as hospitals,schools,supermarts, parks,recreational centers etc. M.I Builders is a renowned real estate company that has attained excellence through expertise and foresightedness in its field. The company was incorporated in the year 1987 under Indian Companies Act of 1957. Our focused vision, constant efforts and utmost dedication has helped us to develop a blueprint for our ceaseless growth in real estate domain. Our virtuoso projects are sited in supreme locations of NCR and Lucknow which are well furnished with all modern utilities. Our future endeavor lies in the main objective “Coming together is a beginning, keeping together is progress and working together is success”. Here at M.I builders, we are embarking towards the way to success with our top-notch real estate projects. We have uplifted the standard of living with our stupendous projects including Rivera Residency, NQI Plaza, Singapore Mall, Stellar M.I. Citihomes, Golf Gardenia, and many others in NCR and UP. We want to set a benchmark in real estate market with the assistance of our dedicated team engaged in lavish commercial and residential projects. Review of MI Rustle Court, Amar Shaheed Path? Its price, location, builder etc. Review of Mi Builders, Amar Shaheed Path? construction quality, trustworthy, delivery history etc.? Review of MI Rustle Court, Amar Shaheed Path location? neighbourhood, connectivity, schools etc.? Comparison of MI Rustle Court, Amar Shaheed Path to nearby projects? Is it rightly priced? What is your feedback on this MI Rustle Court, Amar Shaheed Path? Depends on brand name and complete the project in time etc? Will this be a better option for investment or to live in MI Rustle Court, Amar Shaheed Path? Can you give some suggestion? Is the MI Rustle Court, Amar Shaheed Path has more potential in terms of capital appreciation, ROI, Rentals, Proximity to social infrastructure etc?